Have a beloved cat or dog? Unfortunately there is no free health service for pets, so if something were to happen that resulted in them needing treatment, the vet’s bills could prove quite costly. Compare pet insurance from a range of insurers so you can find the ideal policy for the needs of your pet. 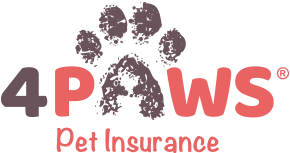 This is a list of featured pet insurance providers. By offering the very best pet insurance policies and great customer service we have helped millions of owners get their beloved pets back on their feet following illness and injury. Vets choose to partner with us - 90% of our customers renew each year. Pet insurance helps protect you from unexpected vet bills. It will usually pay for things like consultations, treatments, complementary therapies and even some special diets. Recommended by 89% of Customers. Based on a review of 161 customers. 5 star defaqo rated Premier and Plus Pet Insurance. Insurance for pets from aged 8 weeks with no upper age limit. 24 hour vetfone™ helpline included as standard. We believe lifetime cover is the best type of pet insurance. It is the most comprehensive form of pet insurance and offers vet fees cover up to a maximum amount, which is reinstated each year. This means that if your pet develops a long term chronic illness such as diabetes or an ongoing skin condition, provided it didn’t pre-date the policy, this will be covered for the rest of your pet’s life. At Lifetime Pet Cover we want the best for you and your pet, so we only offer Lifetime Pet Insurance Policies. Like you, we love our pets, which is why we’ve created a superb range of pet insurance products with different levels of cover to suit every budget. All underwritten by the insurance giants, Aviva and Covéa.